Aromas typical of Pinot Noir: rose petals, cherry, dusty pomegranate and light smoke/tea character. The palate is dry with cherry, roses, tea bag, and supple minerality. A touch of earthiness on the finish. This is a balanced medium-bodied wine. Grapes come from a vineyard planted on soils with granite and quartz in the upper profile, while in the lower profile appears, high red clay content soils (trumao), from volcanic origin composed of ash, tuffs and basaltic lava. 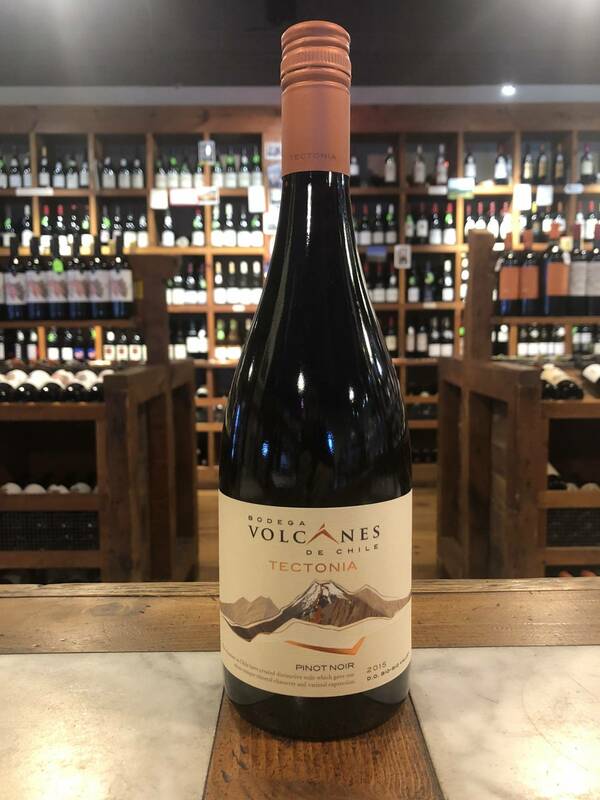 The tectonia line of wines is named after the ever-shifting tectonic plates and the unique geomorphology of Chile that causes eruptions and originally led to the formation of the Andes range and the volcanoes. After hand-harvesting into small crates, the grapes are hand-sorted. After fermentation the wine is transferred into French oak barrels (15% new, plus second and third use), where the malolactic fermentation takes place and the wine is aged for 10 months.